Eclectic Extravagances or Practical Pondering? Some sort of moto-glider, maybe a Diamond? 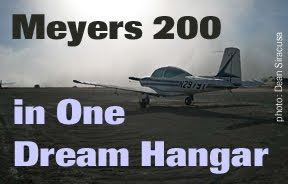 One thing this "Dream Hangar" project has shown me is that each pilot has their own idea of what is cool in the sky. While some of these lists leaned heavily towards one area such as military or vintage planes, the constant has been that each list has at least one toy (like Simons' Sukhoi SU-27) or one bizjet grande (like Siracusa's G-550) or one really out there entry such as Tomblin's "flying sub from Voyage To The Bottom Of The Sea". I will be writing my list soon.